In the professional world, your clothing says a lot about you. It's a way to express yourself without saying a word. When you walk into business meetings, presentations, or other professional environments, you want to appear as confident and comfortable on the outside as you are on the inside. WT Clothiers are experts in helping professional women achieve the perfect look with quality custom women's clothing including made-to-measure suits and blouses. We offer an assortment of premium fabrics and one-of-a-kind garments that are all customized specifically for you. We provide custom clothing for women of all shapes and sizes in Virginia and Washington DC. We work with you to craft beautiful garments that exude the professionalism of today's modern businesswoman. One of the key benefits of working with WT Clothiers is that we bring our services to you. If you cannot make it to our studio located in the heart of Old Town Fairfax, we can meet with you at your office or home to get your sizing, show you samples, and get everything we need to create your custom suit. Have you spent hours in department stores and been completely unable to find something that fits you well and makes you feel comfortable? You're not alone. This is a common problem that women experience when trying to buy off-the-rack suits and business attire, and it usually results in having to "settle" on something that's not quite what you wanted. At WT Clothiers, you don't have to just settle. The best way to get a suit that fits you perfectly and highlights your best features is to have one custom made. We take precise measurements so that your suit fits you comfortably and looks great, and we can make alterations if necessary. If you would like to set up an appointment, call Todd Baldwin at (703) 352-8852 or by completing the form to the right. We look forward to working with you to create a flattering and professional suit, blouse, or dress. 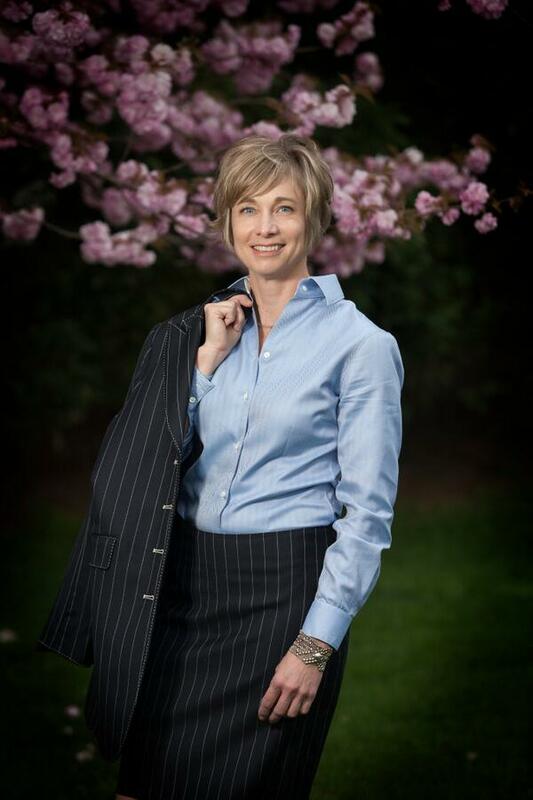 Elizabeth Grasmender has recieved dozens of compliments for her newest sport coat. In her testimoney, she gushes over her overall experince with WT Clothiers. We know it can be difficult to find comfortable and stylish womens clothing, make an appointment today to find your next best look!